Martin Parr curated the fantastic Strange and Familiar – Britain as revealed by international photographers. at Manchester Art Gallery almost exactly 2 years ago. It followed closely on the heels, pun intended, of the Vogue 100 Exhibition a superb exhibition which showed iconic fashion photography at its very best. The contrast with the gritty, socially historic photography showing our country as seen by a range of international photographers was literally shocking, with no leaning toward the niceties that homegrown photographers may have felt had to be observed, and changed my outlook on how I viewed photography. The photographers chosen by Parr, included Bruce Davidson Evelyn Hofer, Henri Cartier Bresson and Axel Hutte created an exhibition which must rank as on of Manchester Art Gallery’s most iconic. 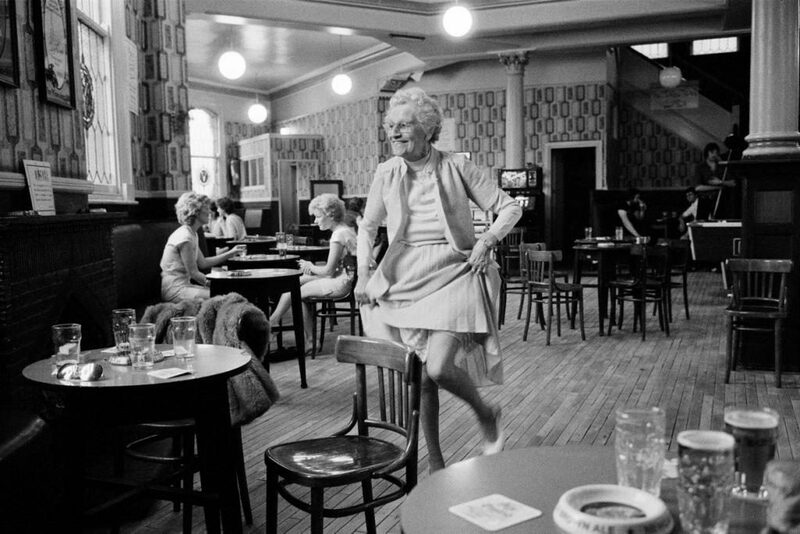 (along with last years Shirley Baker exhibition) So the news that Parr will be showing his own photography of Manchester and surrounding area’s social make-up and history is an absolute must to see. As one of Britain’s most renowned and publicly known photographers Parr is endlessly curious about how we all live our lives, and has developed an international reputation for his colourful photographs which capture our times – whether it is the food we eat, the fashions we wear, what we buy or our leisure activities. His innovative imagery presents the familiar in a new and wry way, demonstrating his oblique approach to social documentary. Parr has had a huge influence on photographic culture within the UK and internationally. He started his career in Manchester and studied at Manchester Polytechnic (now Manchester Metropolitan University) from 1970-73. He has revisited the city many times over the last 40 years to document the lives of Mancunians. For his new exhibition at Manchester Art Gallery, Parr will bring together a selection of his Manchester photographs. Ranging from images of Prestwich Mental Hospital (1972) and Yates Wine Lodges (1982-3) to people shopping in Salford (1986) and the Guardian Cities project (2008), his work shows how the lives of Mancunians have changed but also how there is continuity in how we live our lives. We also see Parr’s move from black and white into colour photography for which he is now best known and also his transfer into digital. Parr is also making a new body of work for Manchester Art Gallery: a portrait of the city and its people in 2018. For his new Manchester commission, Parr has encountered people shopping, in hairdressers, in Mosques, in cafes, at markets, in factories, at parties, playing sport and in the gay village. 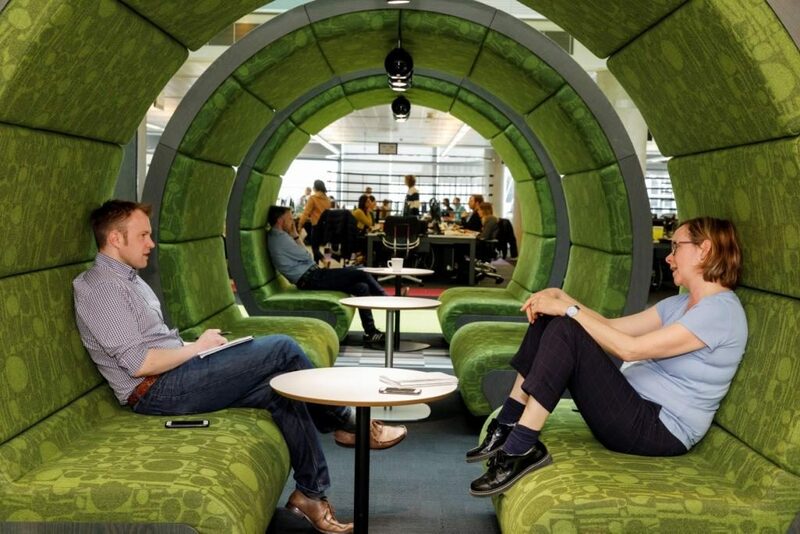 He has captured scientists doing ground-breaking research at Manchester University, fans of the city’s world famous football teams and the state of the art facilities at the BBC in Media City . The images reveal the diversity and inclusive nature of our city and the breadth of activity which takes place. They uncover people’s passions, skills, relationships, quirks – celebrating the humanity of the everyday. A selection of these prints will enter the gallery’s collection. Starting his career in Manchester, the city had a profound effect on him as it was so different from his childhood home. He recollected: “I remember so well arriving into Manchester in 1970, having travelled from the safety of suburban Surrey. It was exciting and felt very real.” This city sparked his curiosity about people’s lives, what it is to live in a Northern, largely working class and diverse city and he embraced his new context with enthusiasm. After his first year at Manchester Polytechnic, Parr began making cohesive documentary projects which explored a particular subject. Prestwich Mental Hospital 1972 was Parr’s first documentary project. The images demonstrate how he was able to build a rapport with the patients so they felt comfortable having their photographs taken, a few even playing up to the camera. What could have been quite bleak, institutional images in fact reveal the humanity which Parr captured even in the very early stages of his career. June Street with Daniel Meadows 1972 capture a community on the verge of disappearing. Parr and Meadows asked the residents if they could photograph them in their front rooms. The series has become a document of family life in Salford in the early 1970s, with family groups gathered around fireplaces or TVs, with ornaments, pictures, patterned wallpaper and carpets. This was where Parr’s interest in kitsch and decoration developed and started his lifelong fascination with the ordinariness of everyday life. In 1972, Parr created a board game, Love Cubes, which mixed his interest photography with conceptual art. He photographed nine heterosexual couples on a rainy afternoon in Manchester city centre, firstly individually and then together; the object of the game was to match up each couple, with no other information to help with the pairing process except for the details of each person’s hair, height and clothes. There are seven Manchester pictures in the Bad Weather series from 1981, set across Britain and Ireland. Weather is our national obsession, our favourite topic of conversation for small talk. Here people battle against poor visibility and driving rain, umbrellas being blown inside out. Many of the images were captured with an underwater camera and flashgun, so that Parr could shoot in any weather condition. The use of flash allows him to capture the falling rain which would otherwise be almost invisible and means that the weather comes to the fore within image. In 2008 Parr was commissioned by The Guardian to document 10 British cities including Manchester. He roamed Greater Manchester, taking pictures in places including Eccles, Stockport, Failsworth, Manchester Ship Canal, The Trafford Centre, Salford Quays, Denton, Moss Side and the Northern Quarter. He remarked on the changes to Manchester since his last visit, the dominance of the supermarket over neighbourhood shops and the regeneration after the 1996 IRA bomb which began Manchester’s journey to become an important economic and cultural centre. This series is his first Manchester work using a digital camera, which he started using in 2006.